Owning your first car is a generally your first opportunity at freedom. Looking out in your driveway and seeing your car sitting there reminds you adventure is just a highway away; the open road ahead and a blank map create stories to share for generations to come. A car has always been a direct reflection of the owners personality and attitude. Some individuals have gone beyond just a one car driveway and have moved into the collector phase, filling large warehouses with numerous automobiles, old and new. A famous classic car collection is as easy as adding some rare limited editions and famous classic cars collectibles to your collection. Once the bug bites it is very hard to resist the urge to continue adding vehicles to your garage. Eventually as you find your collection growing; it will be time to really give your collection something special; nothing is as special as a Limited Edition classic automobile. The vintage model has always made car owners feel special, that they had something just a little bit better then their neighbor; a Limited Edition Classic can do the same for your collection. Finding classic cars used to be relegated to driving old country roads in search of the barn treasure or field find that was a diamond in the rough. Now, with the internet you can find lost classics in just a few simple clicks all from the comfort of your living room. There are vintage car auctions everywhere, and car restoration services can take a pile of rust and transform it into something that is factory fresh. With cars this easy to acquire you owe it to yourself to ensure the next addition to your collection is unique, something that will not only add value to your collection, but also clout. A Limited Edition or Limited production can do exactly that. The vintage vehicles today are nothing more then a gold badge package, maybe leather seats, perhaps a nice stereo. In the days of old a Limited Edition most likely included special dealer performance packages, or in certain cases, a local speed shop taking a vehicle and unlocking potential that the factory overlooked. 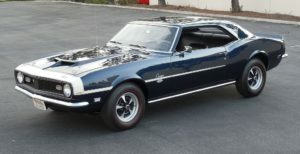 Two notable examples of this were the Yenko Camaro and the Shelby Mustang, two icons in American Classic collectible muscle. The Yenko Camaro and the Shelby Mustang were not all that right off the factory floor. Each was considered a muscle car in the year they were produced, but they were the diamonds in the rough that a gear head searches for. 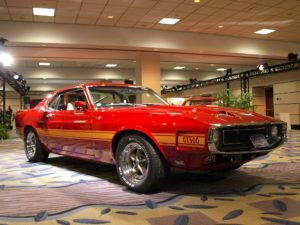 Don Yenko and Caroll Shelby took these cars and gave them radical performance upgrades before selling to the general public. Once they had been enhanced their value and reputation increased dramatically, coupled with the fact that these two individuals only performed these modifications for a few years has made these vehicles highly sought after in any serious car collection. Whether you are making an addition to your collection or just starting one, a Limited Edition Classic Car is a great place to start looking. These cars offer a rare insight into an age when being the leader of the pack involved raw horsepower and muscular lines, add one to your collection linking the past and the future, as these cars are timeless. Offering to American passionate collectors a wide variety of high quality Scale Diecast model cars and trucks such as 1 18 scale diecast cars and more.